We had a number of meetings of the Muskoka Watershed Council today. Lots of great projects underway intended to benefit our environment, and all of us who reside here or visit. 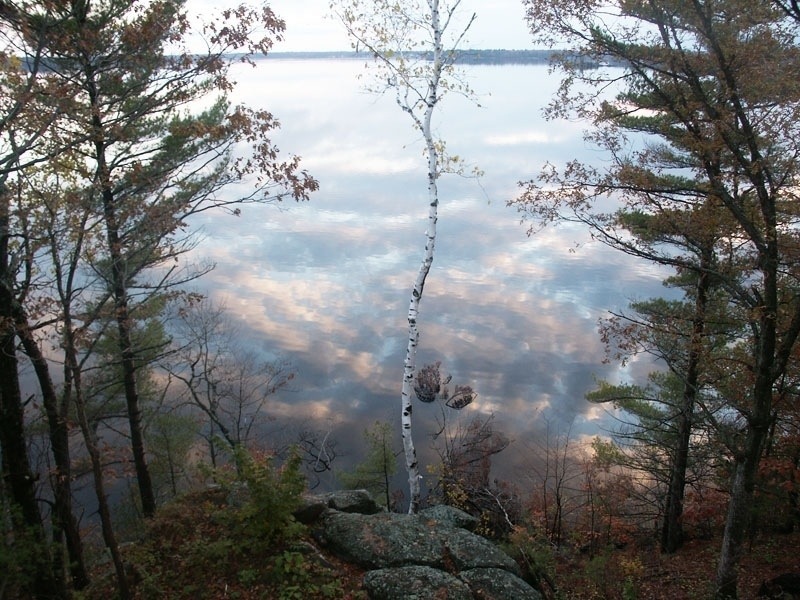 Included in the full council meeting was a presentation of the Skeleton Lake, Lake Plan in development by the Skeleton Lake Cottagers Organization; wonderful to see the inclusive plan to preserve this, still quite pristine and unique Muskoka lake. Information specific to Skeleton Lake, or any other of the lakes in Muskoka is available on the Muskoka Water Web in the lake data sheets link. Please be aware, if you are not linked-out already, there is an important page to explain how you interpret the water quality data. Our meeting were held in the Raymond Community Centre, hosted by the Township of Muskoka Lakes. After the meetings we visited Fish Hatchery Park at Skeleton Lake. 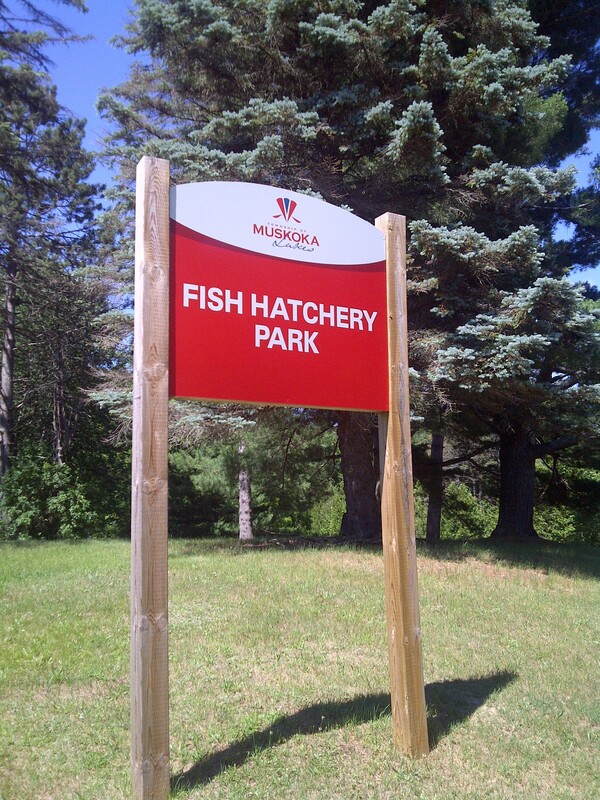 Located just in from 141 of Fish Hatchery Road, the park has an entrance on either side. To the left follow the trails along the river to the falls. To the right the entrance leads to Skeleton Lake and the dam. Although not used as a fish hatchery for a number of years, the park is a great place to take a hike. I only had a BlackBerry with me for the photo, so imagine what you can do with a bit more control. 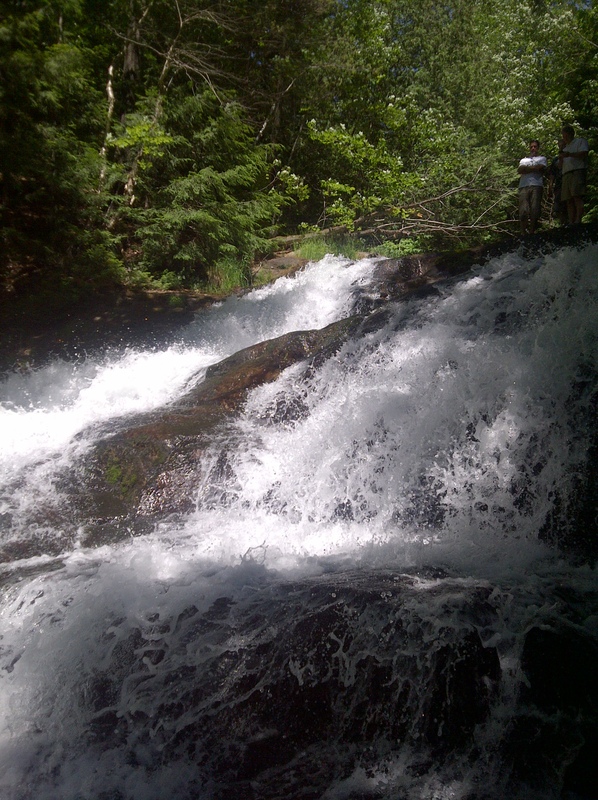 Bring your camera along and go for a hike to the falls!